Pots, pans and gadgets galore! 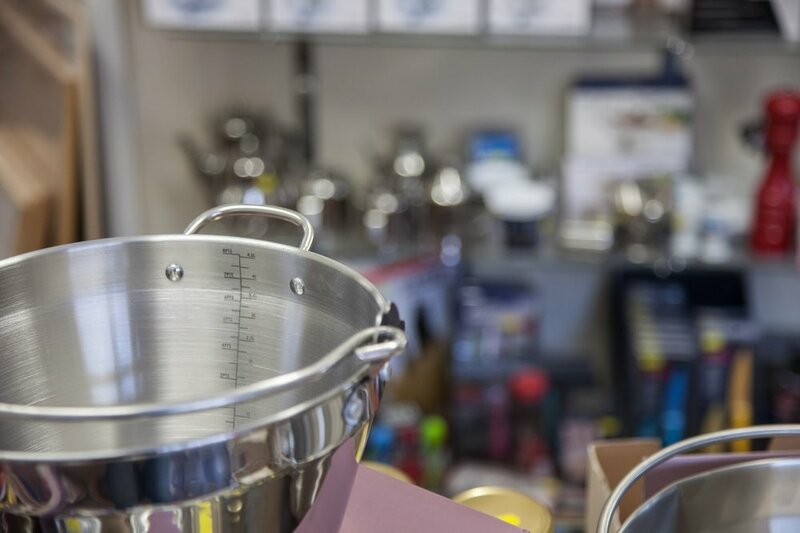 We have pots and pans and gadgets galore in our cooks store. Good quality knives and scissors make preparation easy, and don’t forget a chopping board. We also have bakeware, so if you love The Great British Bake Off, we have everything you need to get baking. If jam making is more your area, we also have everything you need for making and preserving your garden goodies through the winter – jam jars, replacement lids, jam pot covers, Kilner jars and preserving pans. If you need it for jam making – we will have it! We also have preserving bottles in all sizes – Sloe gin makes a great present.